An enhanced version of our original Food Pouch, the Backcountry Food Pouch Plus has the simplicity and convenience of the original, along with a few upgrades. 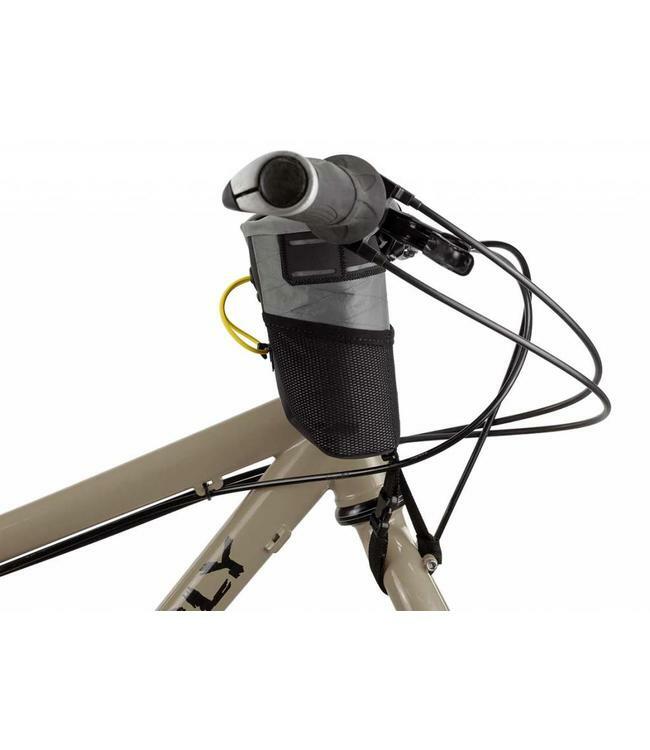 Designed to store anything – food, tools, snacks, arm warmers, even spare water bottles – within arm’s reach on either side of the stem (or both), the Pouch securely attaches with a flexible three-point system. Exterior mesh pockets are useful for catching empty wrappers, while a mesh drainage hole helps to keep the interior dry. The Pouch’s contents are kept safe with a simple one-handed opening and closure system that’s easy to operate in the saddle. Meanwhile, tough body fabric and a padded interior make sure that valuables stay protected. An essential piece of kit for commutes or bikepacking rides long and short.